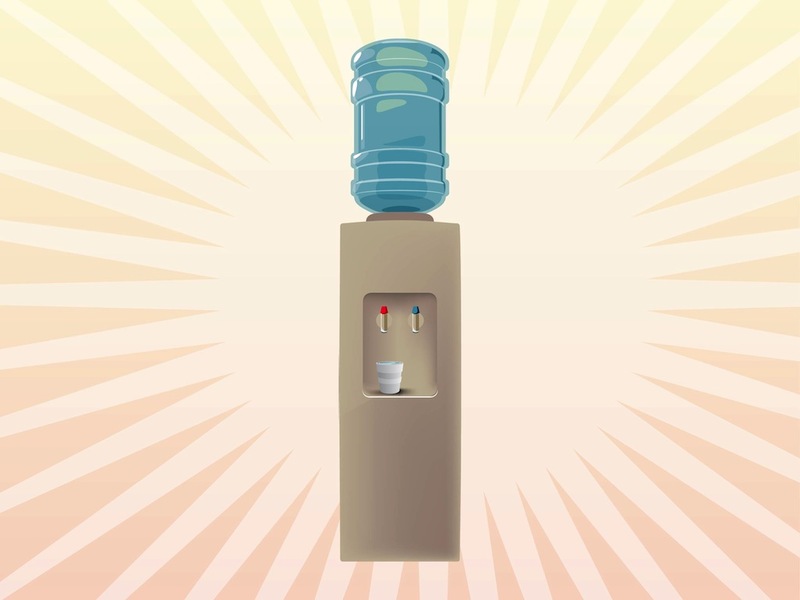 Detailed vector illustration of a water dispenser. Big plastic bottle with mineral water on top, faucets for hot and cold water and a plastic cup placed underneath them. Free vector illustration for all household items, office equipment, drinking, thirst, drinks, beverages and bottled water design projects. Tags: Beverage, Bottle Water, Cold, Cooler, Cup, Hot, Office, Public Places, School.